Preheat the oven to 180℃/350℉/Gas Mark 4. Grease and line a square baking tin, I used an 8inch x 6inch sized tin. Place the dry ingredients for the shortbread into a blender (ground almonds, salt, and sweetener). Briefly blitz these ingredients to get rid of any lumps. Add the unsalted butter to the blender and blitz until a crumbly texture forms. Spoon the crumbly mixture into the lined baking tin. With the back of a spoon, smooth the mixture evenly across the bottom of the tin. Bake in the oven for 15 minutes. Remove from oven and set aside to cool. In a medium sized pan, heat the salted butter and sweetener on a low heat. Stir continuously until melted. Once the butter has melted and the sweetener has dissolved, add the cream and switch to a medium heat, stirring regularly as you do not want this to burn. As soon as the mixture starts to boil, reduce the heat so that it goes to a light simmer. Let the mixture simmer for 10 minutes or until the mixture has thickened and coats the back of a spoon, stirring regularly. Remove pan from heat and whisk in the vanilla extract. Pour the caramel over the shortbread and smooth over until it is evenly covered with caramel. Leave in the fridge to set for 15-30 minutes. Melt the dark chocolate and unsalted butter in the microwave. This can be done by heating for 30 seconds and then stir and repeat until the chocolate and butter are melted. Alternatively, you can add the chocolate and butter into a heatproof bowl set over (not in) a saucepan of simmering water; cook, stirring occasionally, until melted, for 2 to 3 minutes. Pour the melted chocolate over the caramel and smooth over until the top is fully coated with chocolate. Leave the chocolate to set at room temperature. This will take between 1-2 hours. Once the chocolate has set, cut the shortbread into squares. I managed to cut 24 squares. Store the shortbread in the fridge and consume within 3-4 days. They taste best at room temperature so I recommend leaving them out for an hour before eating them. Or, you can be impatient like I am and eat them straight from the fridge! ** The values here may not be 100% accurate and should be used as a guide only. I am obsessed with these Millionaire Shortbreads! It was my first time making a low carb caramel and I was pleasantly surprised how good it tasted. These are nice and easy to make. Be warned, these are moreish! Luckily they are nice and low in carbs. I had a serving of two and had no spike in my blood sugar levels. In this recipe I used Sukrin Gold, an alternative to brown sugar. However, you can use a normal sweetener such as Erythritol or Xylitol. 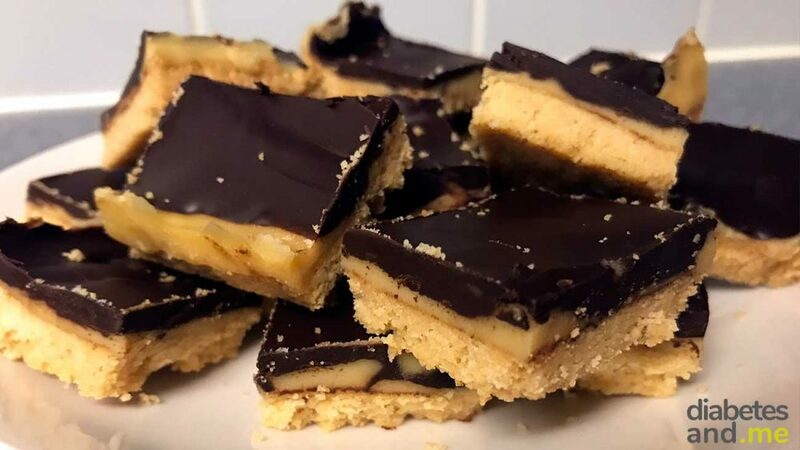 I managed to cut 24 pieces of shortbread from this recipe, which makes them 1g of carbs per serving! As they are so low in carbs you could half it and cut it into 12 pieces to have a bigger shortbread. Please note, these links are affiliate links. This means if you use these links to purchase these products we will receive a small percentage of the sale. Any money we make from these affiliate links go towards the running cost of the website. Recipe inspired by All Day I Dream About Food and Wholesome Yum. 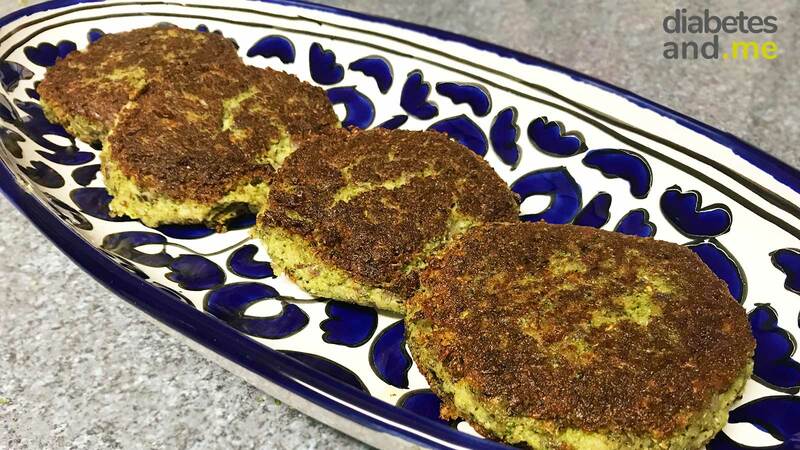 These broccoli burgers are a delicious meat-free alternative to burgers that are vegan and vegetarian-friendly, low carb and can easily be made low in fat. A delicious keto and gluten-free alternative for soft and chewy gingerbread men. Let the Christmas festivities begin without spiking your blood sugars! Discover how to make a delicious low carb and low sugar version of the Battenberg Cake, the perfect afternoon treat!